This “Gospel Music Public Relations” help with content exposure. We took consideration that each artist and musician are on a different financial level, but still, would like to receive quality and professional marketing services. So, for as little as $125 we can get you started. Mix/mastered music that’s streaming online at locations such as iTunes, Amazon, CDbaby, Spotify, SoundCloud, YouTube, or a website that is accessible for us to easily obtain the html code and share your music. Grammatically correct written content about your music history; provide a personal experience about yourself and how the song relates to your own life. 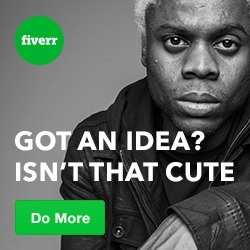 Connect directly to Gospel Music Public Relations on Fiverr now! Having Trouble Getting Noticed On The Internet?